Jake DeShazer sat on a narrow bench facing the back wall of his cell, a position he was forced to keep hour after hour, day after day, as his imprisonment dragged on. The year was 1945. DeShazer had been a prisoner of war in Japan for forty long months, enduring suffocating heat in summer, bitter cold in winter, solitary confinement, near-starvation, cruel treatment, and torture. 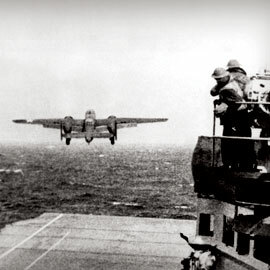 As he sat, perhaps Jake thought of his comrades among the eighty flyers of Dolittle’s Raiders, the bombing run over Japan that helped turn the tide of the war in favor of the Allies in 1942. 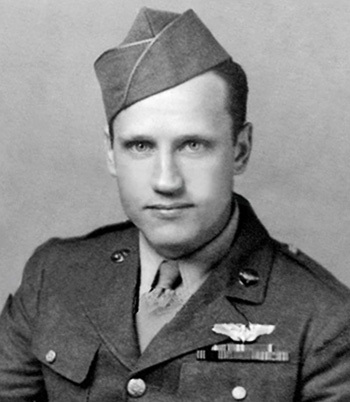 But DeShazer’s plane was among those shot down, its crew members captured. How many of the original eighty had survived? Jake had no way of knowing, except for the few in his own cell block. During those long, solitary hours, perhaps Jake reviewed the encouragements from scripture he had learned and the verses he’d memorized when–for three short weeks–he was allowed to have a Bible. What a change had taken place in his heart. Prior to his captivity, Jake had no interest in Christianity. But the cruel treatment from his captors month after month nearly drove him crazy. Hatred consumed him. He remembered that Christianity supposedly changed hatred into brotherly love. Was that really possible? He had begged for that Bible, but it was a long time coming. When the emperor of Japan told prison guards to treat their captives better, DeShazer’s request was finally honored. And as a result of studying the scriptures, he put his faith in Jesus. Bitter hatred for the Japanese transformed into loving pity. As Jake’s thoughts focused on his captors, he may have prayed again the words from scripture that first melted his heart: “Father, forgive them, for they know not what they do” (Luke 23:34). Perhaps DeShazer reaffirmed what God’s Spirit had revealed to him earlier: His captors knew nothing of a Savior. Without Jesus it was only natural for them to be cruel. And so, as he lifted up loved ones and fellow soldiers, as he expressed his longing for the war to end, Jake also prayed for his captors to know Christ. Within moments his own cell door was swung open by soldiers in American uniform, paratroopers who had landed directly on the prison compound. The date: August 20, 1945 (seventy-one years ago this Saturday). Unbeknownst to the captives, the emperor of Japan had surrendered on August 10, following the atomic bombings of Hiroshima and Nagasaki. The horror was finally over; DeShazer and thousands of other soldiers returned home to pick up the pieces of their lives. Jake chose to pursue a degree at Seattle Pacific University, which he accomplished in three years. 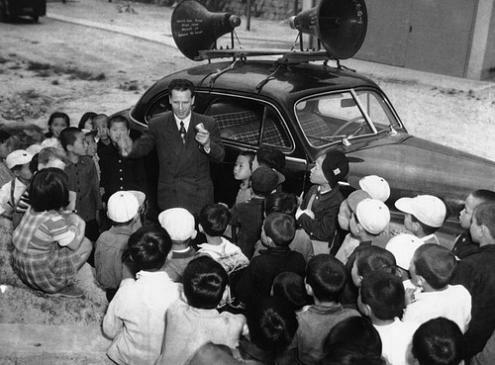 By December of 1948, he and his wife, Florence, along with their first baby, were headed for the mission field, to—of all places—Japan. Every time DeShazer met someone in his new home country and told his story, almost always the person would ask, “Why did you come back here?” And he would introduce them to Jesus. It is estimated that some 30,000 people accepted Christ into their lives—just in the first year of Jake’s ministry in Japan. Among them, a number of former prison guards who had held Jake and his comrades captive. Another surprising convert: Mitsuo Fuchida, the pilot who led the attack on Pearl Harbor. 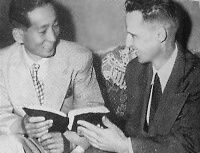 He “happened” to read a pamphlet Jake had written, “I Was A Prisoner of Japan.” Fuchida began to study the Bible, became a Christian, and served as a missionary himself in Asia. He and Jake eventually met and became friends. For nearly thirty years the DeShazers served God in Japan, helping to found sixteen churches throughout the country. DeShazer’s story proves just how mind-boggling and miraculous that future can be. Thank you, Father, for DeShazer’s story, proving it is possible to love our enemies, bless those who curse us, do good to those who hate us, and pray for those who persecute us (Matthew 5:44). By comparison to DeShazer’s horrific experiences, my hurts and resentments are embarrassingly puny. Yet I still need your Spirit to transform them into compassion and love. As a starting point, may I never lose sight of the totally underserved forgiveness you have lavished upon me. Gives me goosebumps; what a testimony! I, too, was incredibly inspired by a short summary of his life; ‘had to research the details! Thank you for the pingback! on August 18, 2016 at 2:40 pm | Reply A Miracle of Forgiveness — From the Inside Out | offbeat on purpose: no theology just believing God. A powerful testimony on forgiveness and how Jesus worked in the life of Jake DeSazer. Thank you for sharing. 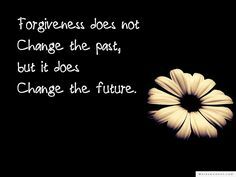 Yes, forgiveness changes our future and if we do not follow God’s unconditional forgiveness and love. How sad it would be to not experience it in large and small ways. Isn’t it an astounding story? I’m glad you found DeShazer’s testimony as powerful as I did. As for forgiveness changing the future, it’s another proof that God’s ways always lead to what’s best for us and for others. what a wonderful example I remember my mom saying she was so uncomfortable with any Japanese people since she lived through the war. Unforgiveness, fear probably was the basis of her opinion. Makes me wondered what I am holding onto that needs to be let go. Please Lord open my eyes to know this…. Oh, yes. Right with you, Jean. Open my eyes, too, Lord! Preaching Christ is fine, but it’s living Christ that speaks the loudest. Thanks for sharing this, Nancy! You are so right. Jacob DeShazer’s life still speaks today of courage, strength, forgiveness, obedience, and passion–all from God, all lived out for God! How incredibly moving is this story. I had never known about Jake DeShazer. I will never forget him now that I’ve read about him. Thank you so very much. I only read about DeShazer recently myself, and am honored to introduce him to others. With you, I found his story especially inspiring!